This eco-friendly alternative to disposable dinnerware makes heating up a meal a snap and keeps your microwave clean at the same time! 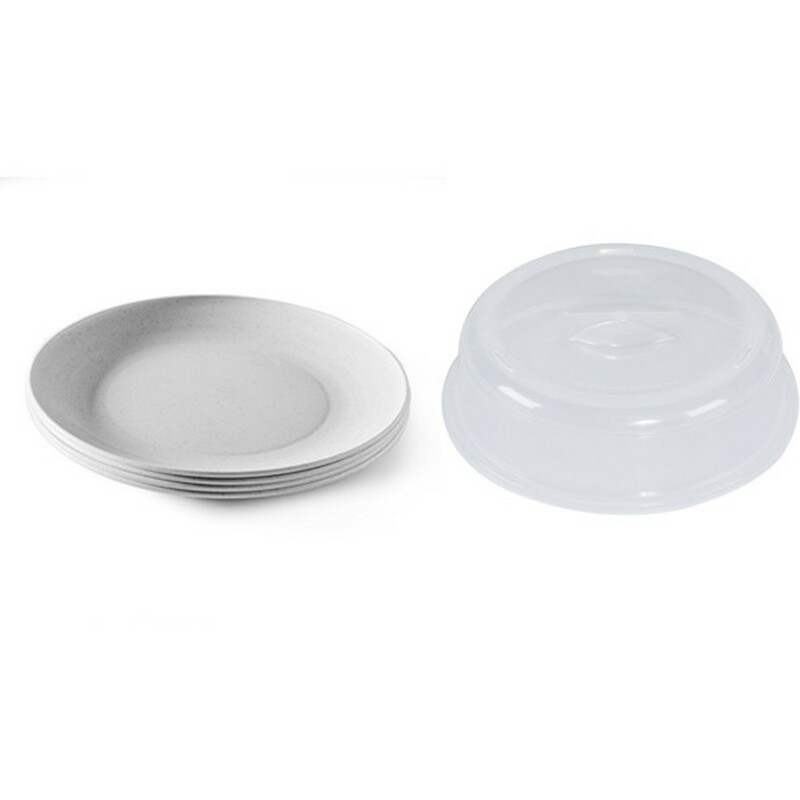 The high-domed plastic cover concentrates heat around microwaved food and keeps it moist. It also enables two plates of food to be cooked or warmed in a microwave at once: cover one and stack the second atop the cover. The cover is virtually unbreakable and is safe in the freezer and dishwasher. Everything you love from Nordic Ware and for your family in one bundle. All Nordic Ware products are proudly made in the USA. The plates are built durable and will not crack or chip. Bundle of 4 Nordic Ware Microwave Plates Plus 10.5 Inch Splatter Cover. Set of 4 Flecked White Microwave Safe Plates for everyday dinnerware use. Durable – won’t crack, chip or break. 10.5 Inch Plate Cover 10.5 Inch Spatter Cover fits standard dinner plates and the Nordic Ware 2-sided Bacon-Meat Grill. Prevents spatters in microwave and keeps food warm for serving. Clear see-thru plastic allows you to view food as it cooks. BPA and Melamine Free; Top rack dishwasher and freezer safe; proudly made in the USA.